Although size is a factor on all 5-axis machine configurations, the trunion machines seem to be the ones that catch people off guard most often. A trunion style machine must be specifically sized for the family of parts that will be run on the machine, or there will definitely be some unexpected bear-traps that can really get you if you’re not careful. When buying a 3-axis machine we have always been taught to buy the biggest machine that you can afford...providing for the ability to run larger work in the future. This logic doesn’t work with a trunion 5-axis machine. If you are running small to medium size parts – 3” to 6” cubes let’s say – then you don’t want to buy a large machine with a 24” diameter rotary table. 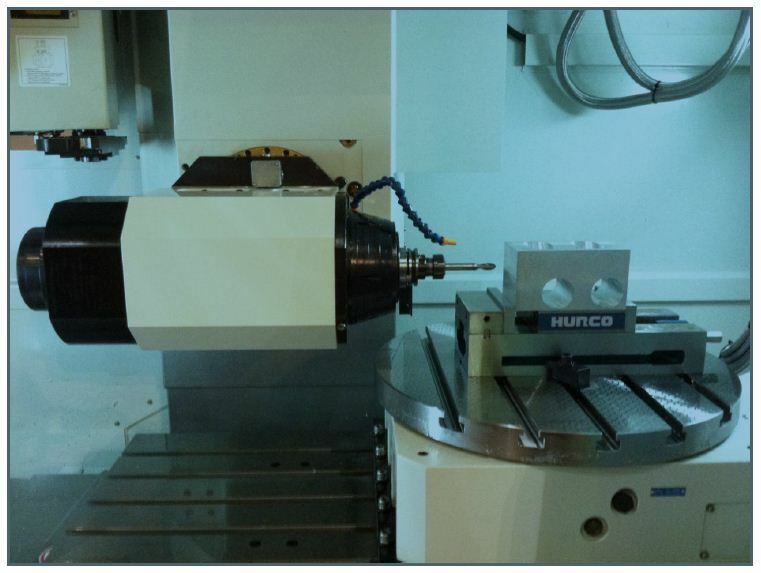 Running small parts on a large trunion means that the tooling you use will need to be extended length – to reach the center of the table when the trunion is tilted to 90 degrees – and can cause all kinds of problems like: chatter, slower feedrates, interference issues, inability to toolchange such long tools, etc... 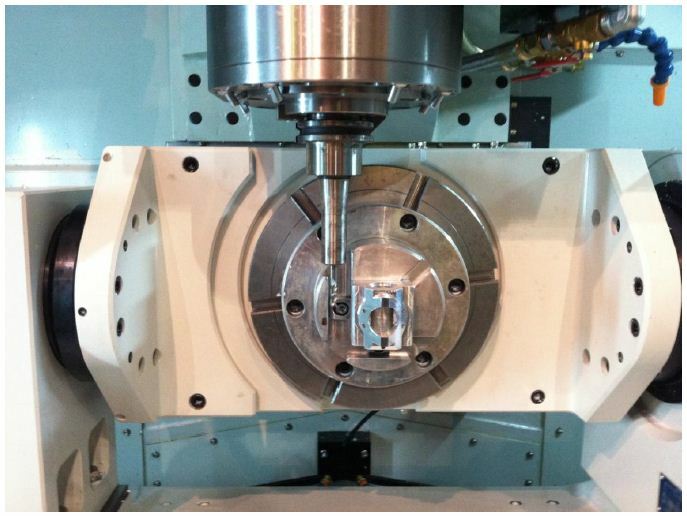 If the machine you purchase is a medium sized machine – 10” or 12” diameter table for example – then standard length tooling can be used, and many of the issues mentioned above will not become a problem...at least not because of a machine that is too large. Another factor in choosing the correct trunion machine is part height. Although many of the smaller footprint 5-axis trunion machines have more than adequate Z-axis travels and clearances for medium to large workpieces, it is the Y-axis travel that must be considered. For example: if you mount a part on the table of a smaller machine, and the height of the part and fixture combined reach a height of 10”, you will most likely get an out of travel alarm when you try to run your program...because the machine will not have enough Y-axis travel to reach the top of the part when the trunion is tilted to 90 degrees. The Y-axis travel issue is the single most overlooked consideration when purchasing a trunion style machine; and is usually compounded by the overwhelming selection of modular style 5-axis fixtures available. Once you mount the system’s base-plate, add the modular pallet that will hold the centering vise, you have already used up the machine’s entire available work envelope...and you haven’t even clamped the part in the fixture yet! The issue with swivel head machine configurations is similar, but has an X-axis travel limitation. As the head tilts from one side to the other, the X-axis has to also move, to accommodate the tool length...and the longer the tool, and bigger the part, the larger the machine will need to be. As you can see in the image above, the X-axis will need to move to the right to allow clearance for the tool to position on the left side of the workpiece...and, as I said, the longer the tool or bigger the part, the farther the axis will need to travel. Therefore, for larger parts – especially when deep hole type operations are necessary – you should be considering a machine with as much X-axis travel as possible. Is 5-axis the right choice for you and your shop? Dowload the 5-Axis Return on Investment worksheet below to find out!